Although Kim Possible makes it look easy... battling evil takes some practice! Here's your chance to take on Kim's super villains! Defeat as many villains as you can! A game similar to Bubble Bobble. Fire the balls next to other balls with the same enemy face on them. Use the arrow keys to aim Kim's hair dryer at the super villains then press the spacebar to send a villain upward. Match three or more villains in a row and they will disappear. Clear all of the villains to move to the next level. If a villain reaches the bottom the game is over. Try to make it through all 7 levels! Every time the danger meter reaches the top, the villains drop down a row. If you want to play Kim Possible Super Villain Face-Off games online you have come to the right place! 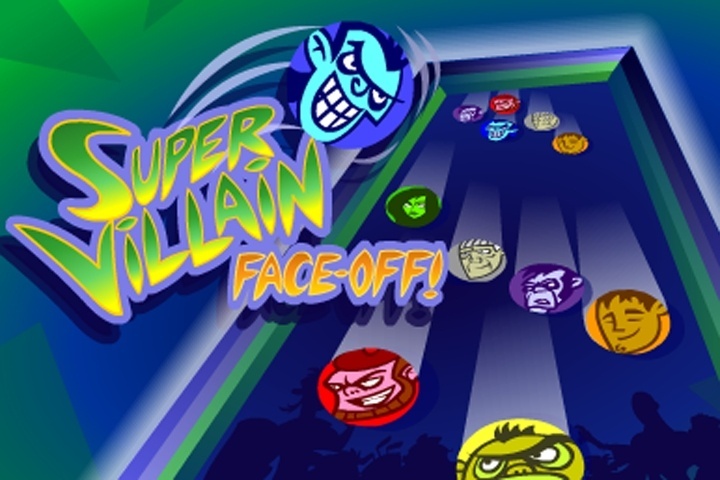 GamesLoon adds new Kim Possible Super Villain Face-Off games every week. This is your game portal where you can find the biggest collection of free Kim Possible Super Villain Face-Off games online. Do not forget to rate our Kim Possible Super Villain Face-Off free online games while playing!